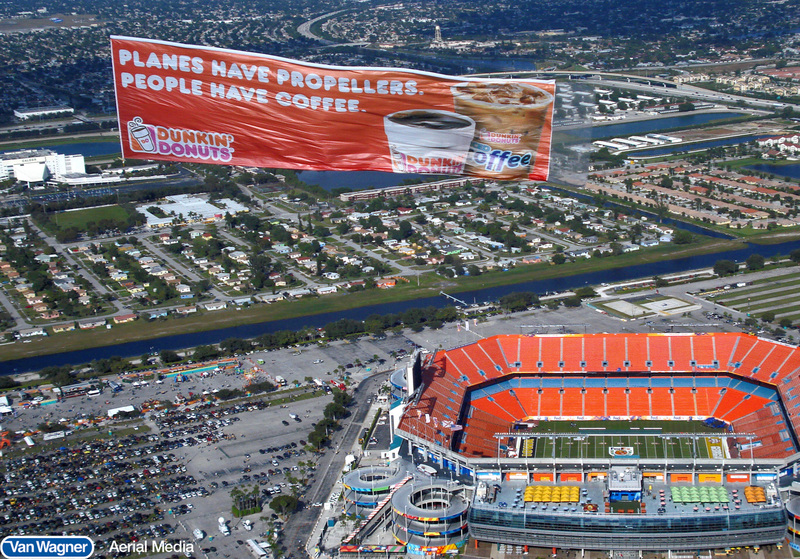 A prime time for aerial advertising is when students and fans are preparing for the game. They are in a relaxed state; getting the grill going, listening to music, relaxing with their friends, and getting excited to see their team play in the game. Research shows that this is the best time to target sports fans. That way, they are not distracted by the exciting play of the game and can focus on the aerial banner, blimp, or sky written message above them. If you are not incorporating social media into your advertising campaign, then you are behind the times. But you know what they say, “Better late than never!” Integrating a hashtag or some type of social media “Call To Action” (CTA), is just what you need to get buzz started on your campaign. Social media offers free exposure to your brand and is proof that your aerial campaign is getting noticed and receiving the attention it deserves. Putting a hashtag on an aerial banner that is associated with your campaign is a fool-proof way to get noticed. 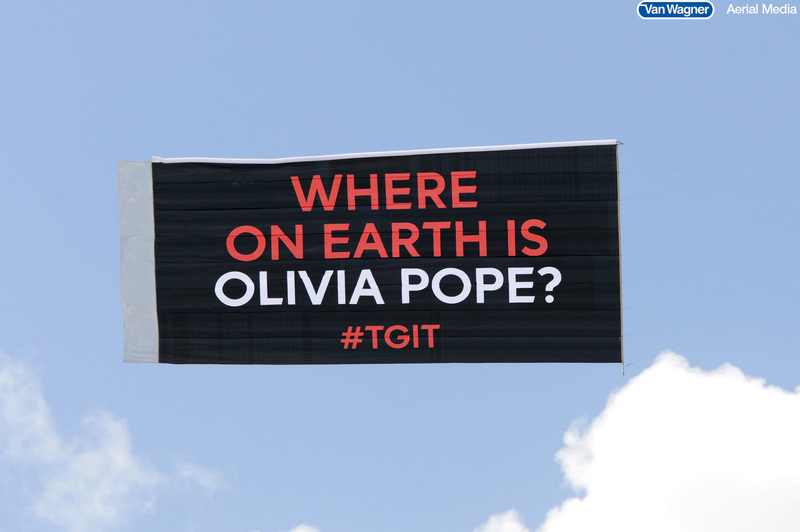 Check out how ABC got Twitter talking with their aerial banner. Once you have caught the students’ and fans’ attention with the aerial campaign, complement it with an on-ground sponsorship. Having brand ambassadors walking around, promoting your brand throughout the tailgate, helps reinforce your aerial message. By incorporating your CTA with the on-ground sponsorship you can make an even greater impact. These are the type of campaignes that are truly memorable. If your on-ground campaign is just as interactive as your banner, people won’t forget the message you’re sending. Click here to see how Van Wagner can help you with on-ground sponsorship! Sports fans are some of the most devoted individuals out there, so having them on your side is usually a successful strategy for businesses. Add in the loyalty of college football fans, and your brand is now targeting an all-star demographic. If you’re interested in targeting men, women, families, or even other athletes, NCAA Bowl Game advertising is the perfect choice for your campaign. Having trouble deciding which method of aerial advertising is right for you? 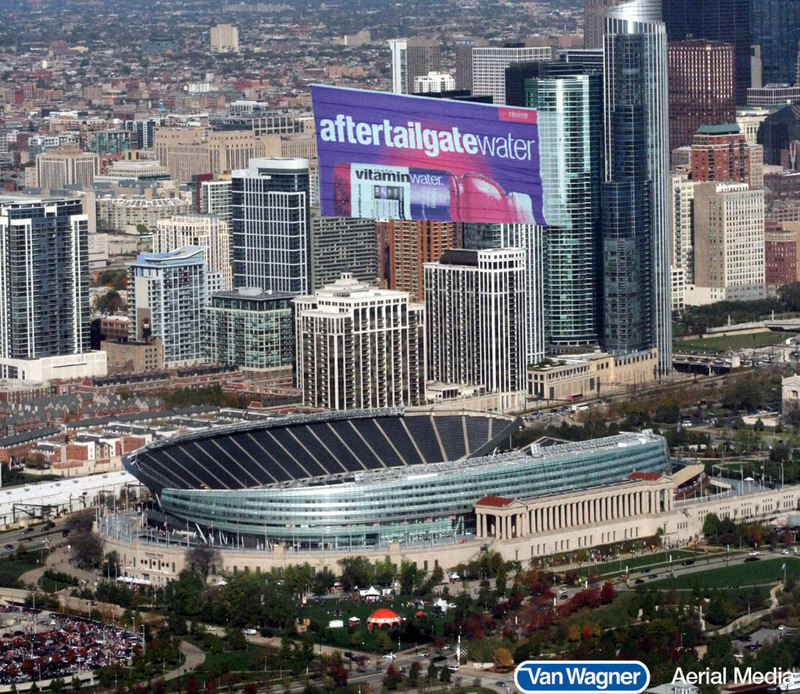 Contact one of our Van Wagner Aerial Media Representatives and they will describe all of our aerial capabilities; aerial banners, sky written messages, or blimps! Or, click below for a free quote. Not sure which events are right for your aerial advertising campaign? Download our free guide!